From beautiful gardens and scenic spots along the coast to a diverse choice of attractions, hiking spots, amusement parks, wedding venues, green spaces, and restaurants, San Diego offers couples and families many free things to see and do. 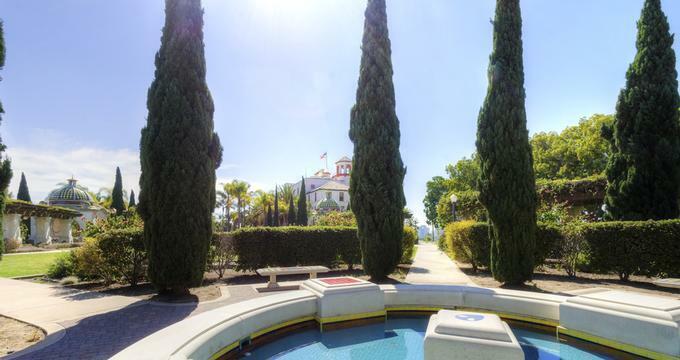 Explore historic ships at the Maritime Museum, and climb the famous California Tower to enjoy a scenic view of the city. The Botanical Building is a unique conservatory in Balboa Park, known as the only greenhouse in the world built with no glass. Created for the 1915-16 Panama-California Exposition and made entirely from wood lath, the Botanical Building is one of the largest lath structures known to man. Housing more than 2,100 permanent plants, including fascinating collections of ferns, orchids, cycads, palms, and other tropical plants, the Botanical Building also presents some sensational seasonal flower displays. The Building provides a special kids' area that features a “Carnivorous Plant Bog” with snapping Venus Fly Traps and gooey Pitcher Plants, and “Touch and Smell Gardens” with a variety of aromatic plants such as lemon mint. 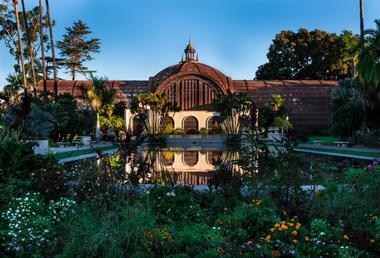 The scene of the Botanical Building with the Lily Pond and Lagoon (constructed alongside the building for the Exposition) is one of the most photographed in Balboa Park. 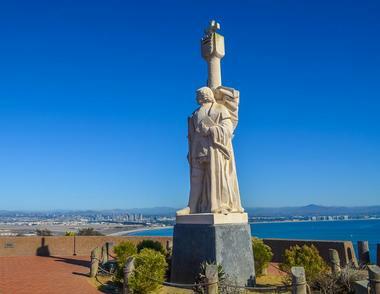 Overlooking the Pacific Ocean at the southern tip of the Point Loma Peninsula, Cabrillo National Monument commemorates the landing at San Diego Bay in 1542. Designated as a Historical Landmark that marked the first footsteps of a European (Juan Rodriguez Cabrillo) on American soil, the park is also home to a wealth of pristine beaches, historic lighthouses, and beautiful tidal pools. Resting at the highest point in the park with magnificent panoramic views is the Old Point Loma Lighthouse, which has been an icon in San Diego for 160 years. The old lighthouse, rebuilt to a lower elevation in 1891, now celebrates the history of the area as an inspiring museum. Just to the west of Point Loma lies a beautiful rocky intertidal zone, which offers visitors a window into the diverse and fascinating ocean ecosystem nestled along this coast. Vast numbers of pools form along the shore during low tide and teem with a myriad of sea creatures from flowery sea anemones to spongy corals and slinking octopi. Conveniently located within the city limits, yet one of the wildest stretches of land along the coast of Southern California, the Torrey Pines State Natural Reserve is a spectacularly beautiful region that spans for over 2,000 acres. If you are wondering what to do in San Diego on a sunny morning, the pristine reserve features a variety of rugged landscapes, ranging from verdant forests of rare Torrey pine trees and a burgeoning chaparral plant community to miles of untouched beaches and protected tidal zones. Enjoy excellent birdwatching at a large lagoon frequented by migrating seabirds and traverse a network of winding footpaths, trails and byways. Guided nature walks are held over the weekends and on special holidays while a modern visitor center provides essential information on the surrounding environment and the rules and regulations of the park. 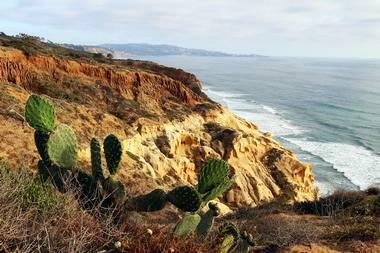 The Torrey Pines State Reserve is one of the top San Diego attractions. 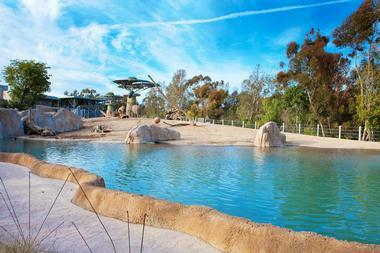 The San Diego Zoo, one of the city’s most popular attractions, pioneered the concept of open-air, cageless exhibits that re-create natural habitats akin to those in the wild. Located in Balboa Park, the zoo houses over 3,700 animals of more than 650 species. It features a new and unique exhibit, the ‘Koalafornia Adventure’, providing visitors with an unforgettable Australian experience. There are a variety of ways to experience the zoo aside from walking. Visitors can explore the zoo on a guided bus tour covering around 75% of the park, or they can see the zoo from the air on the exclusive overhead gondola lift called the Skyfari. Exhibits and displays are designed according to a particular habitat and contain both fauna and flora that live in a given habitat or terrain. The Kettner Exchange, known as KEX, is an exquisitely designed gem that serves excellent cuisine. An elegant fusion of leather seats, eclectic artworks and sculptures greets diners on arrival are they are invited to enjoy sundowners on the 8,000-square-foot sundeck and rooftop bar before dinner. Head Chef Brian Redzikowski, who worked at Le Cirque in New York City and at Nobu Matsuhisa Aspen, serves a well-executed menu with Asian accents and the latest in San Diego’s glam cuisine. The menu features kale salad, fish tacos and pork chops. Add to that five private cabanas with their own TVs and surround sound systems, and you have the makings of a night to remember. 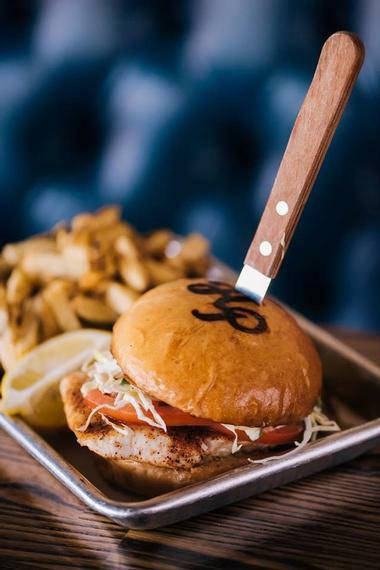 Explore San Diego with your taste buds on an exciting and delicious culinary food tour with Bite San Diego. Discover the foodie side of a city that attracts food enthusiasts from around the world as you visit a variety of restaurants, cafés, bars and markets while learning about the history of San Diego’s love of food. These fantastic walking tours take you into different neighborhoods in and around San Diego as you and your expert guide delve into the history of each community and stop at great eateries along the way. Come hungry as restaurant stops include samplings of the best fare, from Maine lobster rolls to enchiladas, as well as cooking demonstrations, chef talks, and wine tasting. 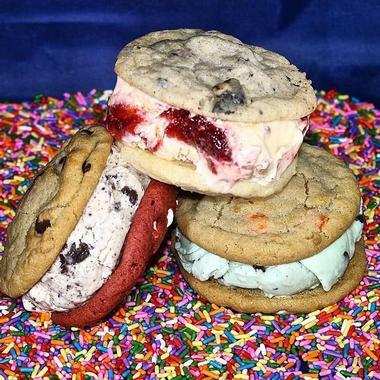 The Baked Bear serves decadent gourmet ice cream sandwiches that win the hearts of both kids and grown-ups. Located in the Pacific Beach neighborhood, the much-loved store is owned by childhood friends, Rob Robbins and Shane Stanger, and it’s the go-to spot to satisfy that sweet tooth. Step back in time and honor those that fought and fell for their country as you explore the legendary USS Midway aircraft carrier at the USS Midway Museum. Docked at the Navy Pier on North Harbor Drive, this immense floating city was one of America’s longest-serving aircraft carriers, carrying more than 225,000 Midway sailors. Spend the day discovering life at sea on a huge ship with more than 60 exhibits documenting the history of the vessel and the important role it played in various wars. Browse the awe-inspiring collection of 29 beautifully restored aircraft resting on the flight deck of the ship, take a fascinating audiotour narrated by Midway sailors and relive life on the craft as it was when in use. Adrenalin junkies or budding pilots can brave the skies in one of two flight simulators on board. 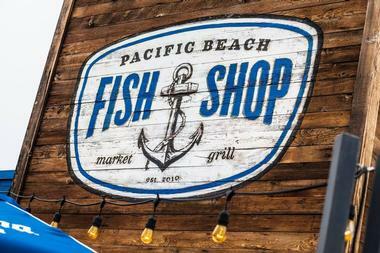 Renowned for serving some of the freshest fish in the Pacific Beach neighborhood of San Diego, the Pacific Beach Fish Shop opened in 2010 and has been a favorite among locals and visitors ever since. The restaurant offers an extensive menu of fresh fish selections, seasoned to taste and served in a variety of ways. The restaurant’s family-friendly ambiance reflects that of San Diego’s laid-back beach lifestyle with a comfortable, heated patio overlooking the ocean. Try the grilled mahi-mahi topped with salsa or homemade chowder. 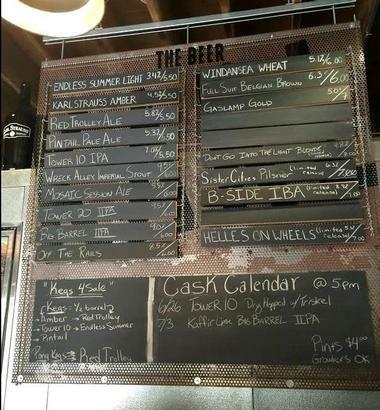 You can bring your own wine or sip one of their 50 San Diego microbrew beers on the extensive wine and beer list. Brew Hop is one of San Diego’s best Brewery Tour Companies, offering unique guided tours to a range of breweries around the city. Priding themselves on crafting a regional beer tasting experience like no other, Brew Hop’s passion for beer is shared with every guest on the tour while they enjoy a fun-filled few hours and world-class beer amongs friends. Each Brewhop Tour is customized to suit your needs, conducted in a comfortable ride and focused on the best breweries hand selected by the customer. Each tour is hosted by a VIP Tour Host who will ensure everything on the tour runs smoothly, from refilling your tasters to guiding your individual experience and share their extensive knowledge of the brewing industry in San Diego and around the world. If you want to escape the relentless action of San Diego’s iconic Gaslamp Quarter, hop into the elevator at the new Courtyard San Diego Gaslamp/Convention Center. The Nolen Rooftop bar and lounge, perched on the 14th floor above the city’s noise and crowds, is elegant and chic with striking architectural details and is a modern version of the beloved speakeasies of old. 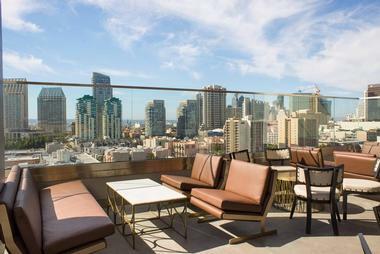 You can enjoy the wide, open view of the city and the ocean during the day, or the twinkling lights of the city at night while enjoying one of Nolen’s imaginative or classic cocktails and delicious shareable small plates. Large, round communal tables with firepits in the middle encourage socializing and making new friends. Nolen is quickly becoming a place to go to see and be seen. The Maritime Museum of San Diego is home to one of the world’s finest collections of historic ships and enjoys a world-renowned reputation for excellence for their work in restoration, maintenance and operation of old sea vessels. In addition to boasting the world’s oldest active ship, the Star of India, the museum also features a number of exhibits and displays that focus on different ages of sailing, charting the sea and harvesting the ocean. The museum also examines the presence of the Navy in San Diego and the history of the United States Navy, and offers a range of ‘On the Water’ adventures, such as bay cruises, swift boat tours and tall ship adventures. The Maritime Museum also provides award-winning educational programs that allow children to learn about the science of the sea through activities such as multi-day adventures at sea and docent-led museum tours. 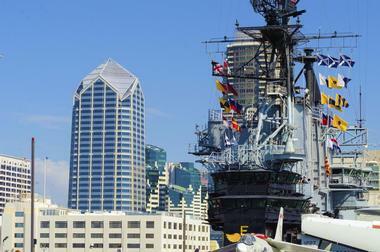 If you are looking for fun things to do in San Diego, this is a great place to visit. 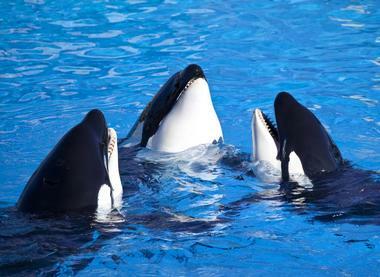 SeaWorld is a world famous oceanic theme park and aquarium that features an array of exhilarating theme rides and shows, attractions, activities and beautiful sea creatures. The park currently boasts 26 animal habitats made up of large saltwater pools, aquariums, tidal zones and tanks, in which a variety of ocean fauna live. Animal shows include ‘Dolphin Days’, ‘Sea Lions LIVE!’, ‘The Shamu Story’ (featuring killer whales) and ‘Madagascar LIVE’, showcasing the unusual creatures that live in the jungles of this remote island. A range of themed rides around the park such as the SeaWorld Sky Tower and the undersea adventure of Journey to Atlantis promise adrenalin-rushing fun. Animal exhibits display some of the ocean’s most prominent creatures, including whales, dolphins, sea lions, turtles, and sea otters. 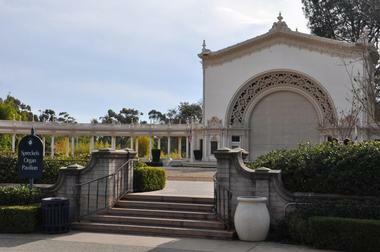 Open-air free organ concerts in Balboa Park have been very popular Sunday events in San Diego ever since Adolph and John Spreckels donated the organ in 1914. It is one of the biggest outdoor pipe organs in the world. It has 4,725 pipes, with pipes that range in length from the size of a pencil to 32 feet. The organ is located in a vaulted, highly ornate structure with heavily embellished gables, and it provides regular, free of charge concerts every Sunday. During the International Summer Organ Festival, there are additional concerts on Mondays. The Spreckels Organ Society is in charge of programming, preserving, and promoting the organ and organ music. The San Diego Model Railroad Museum is the world's largest operating model railroad museum. Located in the Casa de Balboa on the Prado in Balboa Park, this unique museum is spread over 28,000 square feet and features four immense scale and model layouts depicting railroads of the Southwest. 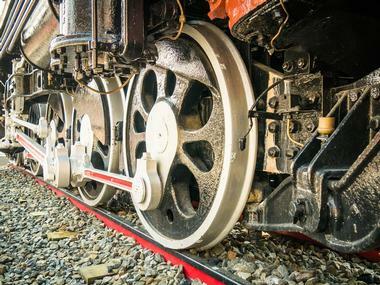 The museum houses an excellent research library with an extensive reference collection of books, magazines and photographs related to model railroading, as well as a sizeable collection of railroad timetables and promotional brochures dating from 1893. Chris Cramer and his friend Matt Rattner opened the Karl Strauss Brewing Company in February of 1989. 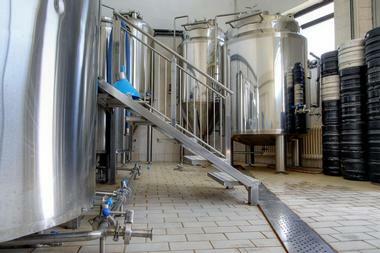 The Brewery has a tasting room and popular open-air beer garden where visitors can relax with friends and enjoy a tasting of the brew house’s products. The large garden space offers plenty of seating and shade, as well as a separate barrel room for private functions and parties. Visitors can also explore the brewery and take a guided tour to see the bottling line before settling down to taste some of the 20 tapped beers available in the tasting room and beer garden. Designed by Bertram Goodhue to reflect the intricately detailed churches of Spain and Mexico, the California Buildings, including the California Tower, officially opened in 1915 as part of the Panama-California Exposition. Closed to the public shortly after the Exposition, the Tower is now open to the public for the first time in 80 years. Home to the San Diego Museum of Man, the Tower boasts a staircase hidden to the public for decades, which ends seven floors later at the top of the Tower with breathtaking panoramic vistas of the Southern California landscape. Tours up the California Tower are run by timed tickets and must be utilized during the time specified on the ticket. A professionally trained and knowledgeable guide leads each tour and will share the history of the tower, as well as other interesting snippets of information. 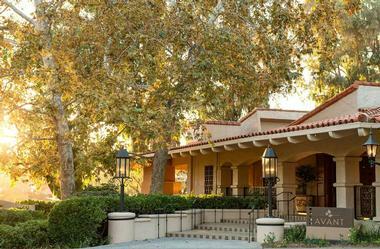 Located In Rancho Bernardo Inn, one of the southern California’s top resorts, Avant is an upscale New American restaurant with an elegant atmosphere and comfortable seating. Their indoor and outdoor spaces blend together seamlessly, and a massive bar dominates the space. 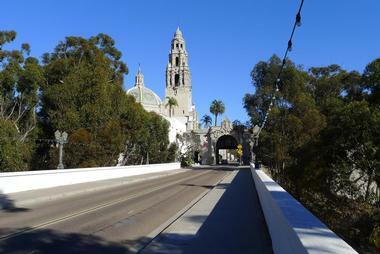 It is one of San Diego’s favorite spots for celebrations or romantic evenings. The food is unpretentious and approachable but superbly prepared and paired with classic cocktails, finely selected wines from all over the world, and a great choice of local craft beers. For special occasions, Avant offers AVANT Table 65, a private demonstration kitchen for groups of up to 12 in an intimate private place where AVANT’s chefs will treat them to a special feast. One of America’s most famous haunted houses, the Whaley House is located in San Diego’s Old Town. The beautiful, stately 1857 Greek revival-style residence is a California State Historical Landmark and a house museum. The Whaley House was originally built as a home for the Whaley family, but was subsequently used as a granary, a court house, San Diego’s first theatre, and all sort of businesses such as ballroom, a billiard hall, and a school. The house was plagued with tragic events – there were hangings on the site on which the house was built and Whaley’s daughter Violet killed herself soon after moving into the house. A number of other sad events contributed to the reputation of the Whaley House as a haunted house, the reason for its popularity with tourists more than its actual historical and architectural importance. 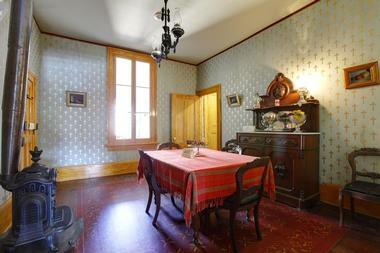 The house is managed by the Save Our Heritage organization, which organizes guided tours. 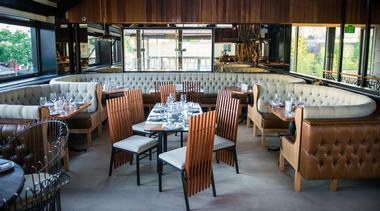 Hundred Proof is a chic and quirky neighborhood watering hole and an outstanding restaurant in San Diego. The fun, eclectic decor is inviting and tasteful, with dark blue leather sofas, a huge poster of Marlene Dietrich, a lovely vignette of antique mirrors on one wall, and a large, well-stocked bar, all of which are attractive enough to be the reason for the bar’s popularity. The bar has a selection of 41 American whiskies and imaginative cocktails, boozy smoothies, and a small but excellent selection of craft beers and world wines. The food, created by the renowned Chef Brad Wise, has delights such as spare ribs “ham style” with spicy peanuts, mezcal plum barbecue sauce, and fresh herbs as well as incredible crusty pizzas such as the wild mushroom pie with roasted garlic, mozzarella, fresh ricotta, pecorino, and thyme. Built in 1935 for the California Pacific International Exposition, the Old Globe is one of the most celebrated award-winning American regional theatres. During its year-round season, the Old Globe produces fifteen plays on its three stages, and productions come from all styles and periods, ranging from Shakespeare’s plays to the development and full production of high quality new works. Its most popular production is the highly regarded Shakespeare Festival. 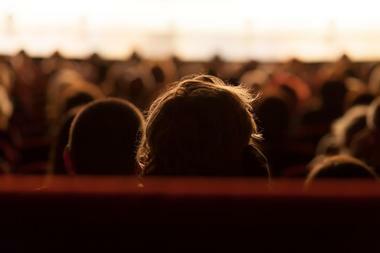 Many acclaimed theatre artists, playwrights, and directors have called the Old Globe home, and more than twenty Old Globe productions have gone to Broadway as well as off-Broadway. Dirty Rotten Scoundrels was nominated for eleven Tony Awards in 2005, and The Full Monty 2000 production was nominated for ten Tony Awards. 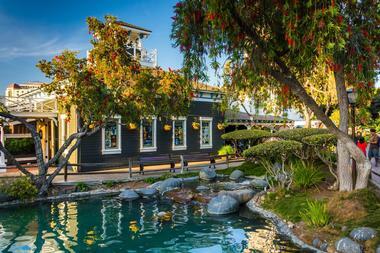 If you are looking for romantic date night ideas in San Diego, plan an evening at the Old Globe. 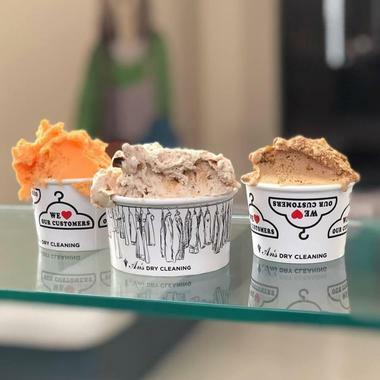 An's Dry Cleaning is a hip new gelato joint in San Diego that has been voted as one of the United States' most unique ice cream stores by Lonely Planet. The restaurant's name is a nod to the historic dry cleaning establishment that had occupied its building since 1934 and a statement on its philosophy of honoring tradition, which is reflected in its from-scratch small-batch crafting process with fresh, locally-sourced ingredients. Unique flavors created by chef David Aguilera eschew traditional flavors like chocolate for edgy, inventive concoctions such as orange blossom and kiwi, coffee orange, blueberry honey marmalade, and strawberry ginger. Whether you are a life-long San Diego resident or a visiting tourist, Seaport Village is the place to go to truly enjoy the city. The meticulously renovated 100-year old building resonates with a profound sense of history. This 14-acre complex offers superb shopping, high class dining, and entertainment for everyone, regardless of age or interest. There are 54 unique shops, 13 pubs and cafes, 4 fine restaurants overlooking the harbor, and a number of high-class hotels. But, most importantly, you can sit in one of the sidewalk cafes, listen to the street musicians, watch the people pass by and ships sail to the horizon, and feel the pulse of San Diego. Old Town State Historic Park was established in 1968 to preserve and celebrate the rich heritage and history of San Diego between the years of 1821 and 1872. The historic park consists of a main plaza, museums, exhibits, and living demonstrations of the city’s exciting history. Up the hill from the park, you will find Heritage Park with several of San Diego’s Victorian homes, which have been relocated from their original site and meticulously restored to their original beauty. Visit La Casa de Estudillo, Mason Street School, the city’s first one-room school, or the Whaley House, which is known as a ghost house. 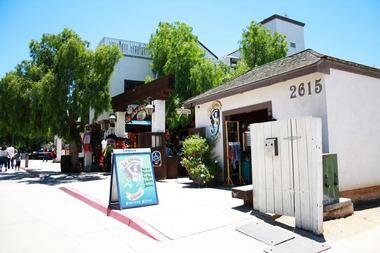 There is always something going on in Old Town. 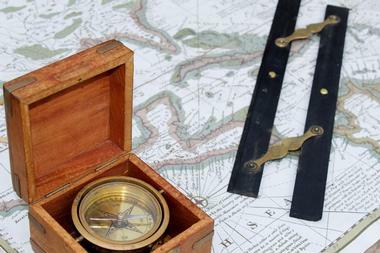 You can see history come to life when visiting one of seventeen points of interest. You can also watch a theatre performance and visit museums, galleries, and many unique shops. If you are looking for things to do this weekend in San Diego, the streets are always alive with music, dancers, mariachis, guides in period costumes, and so much more. Featuring a curious mix of history, religion, and Hollywood, the San Diego Mormon Battalion Museum tells the story of the Mormon Battalion and its grueling journey from the Council Bluffs in Iowa to San Diego. In July 1846, about 500 men and 80 women and children took a 2000-mile journey during the Mexican-American war, and as a result, they changed the history of the country by establishing the roots of San Diego Old Town. The museum features a range of contemporary multimedia exhibits, interactive pictures, muskets, baskets, a gold pouch, bricks from the Old Town courthouse foundation, and a original cannon that the Mormon battalion pushed across the country. After visiting the exhibits, visitors can have some fun panning for gold, dressing up in period costumes, making bricks, or learning about the Mormon Battalion from the guides dressed in original historic costumes. The New Children’s Museum is the kind of museum where there are no sings saying “Do not Touch.” On the contrary, everything is designed for children of all ages to actively engage in the experience of art. They can climb on sculptures and art installations, sculpt with clay, and participate in camps and all kinds of workshops and other activities. The art pieces are specially commissioned from contemporary renowned artists with kids’ participation in mind, and they feature physical, tactile, and other proactive elements. Everything at the museum is carefully designed to encourage creativity. The outdoor part of the museum consists of a park across the street that has its own artistic installation called The Garden Project, with swings, playrooms, sandboxes, and climbing structures. Even the museum building, with its 50,000 square feet of open, light space, is available for kids to examine, with transparent walls elevator shafts and exposed building elements.